Assamese Traditional Jewellery (Axomia Gohona) Best-Selling designs, Elegant work of Handicraft to amp up your Outfit. 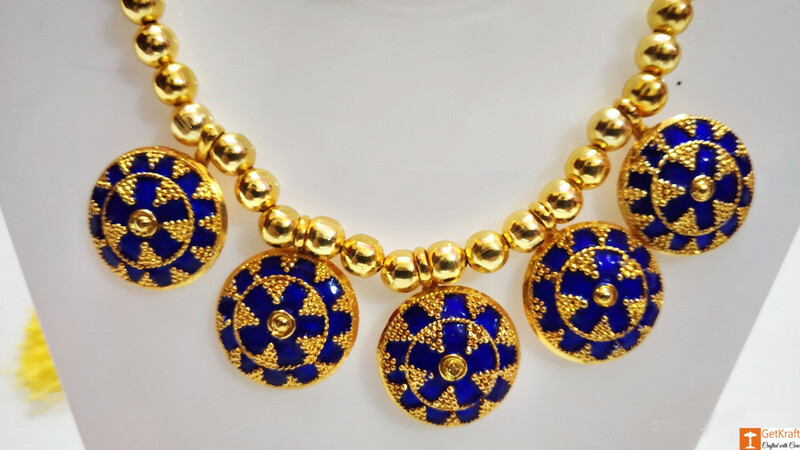 Assamese Traditional Jewellery or Axomia Gohona is entirely Handmade and only skilled hands can do it. This jewellery type is mostly influenced by nature (e.g. birds, grains, animals) and others by musical instruments (drums, etc) and other daily used articles in an assamese household (e.g. jaapi, a handmade conical hat). Here, the main frame is silver made and the outer frame has been finely Polished in Gold. 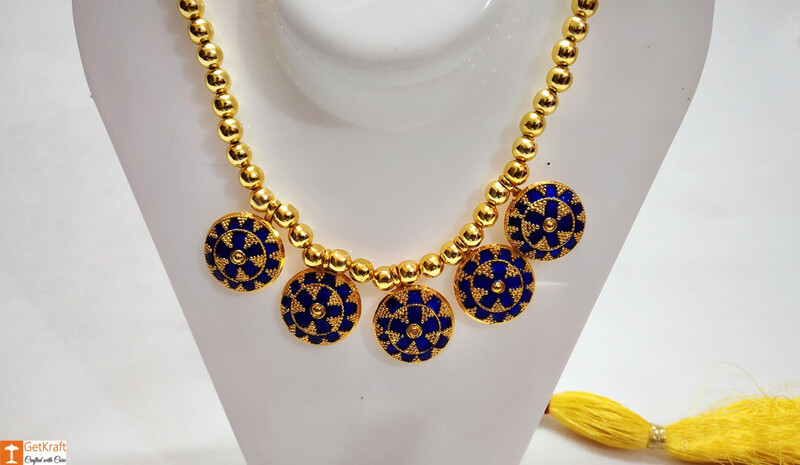 Beautiful Jewellery that is affordable and easy to maintain. They go very well with the local attire Mekhela-Chadar. The picture of the Earrings are not available along with the Necklace. However, you can Order them Online together. An ideal Fashion Accessory for Weddings, Festivals, Cultural Events, Parties where Women Dress up to look their Best. Keep away from water or too much perfume. Advisable to store in pouches or jewellery boxes. Disclaimer: The images represent the actual product though product color may slightly vary due to photographic lighting sources or your screen settings. 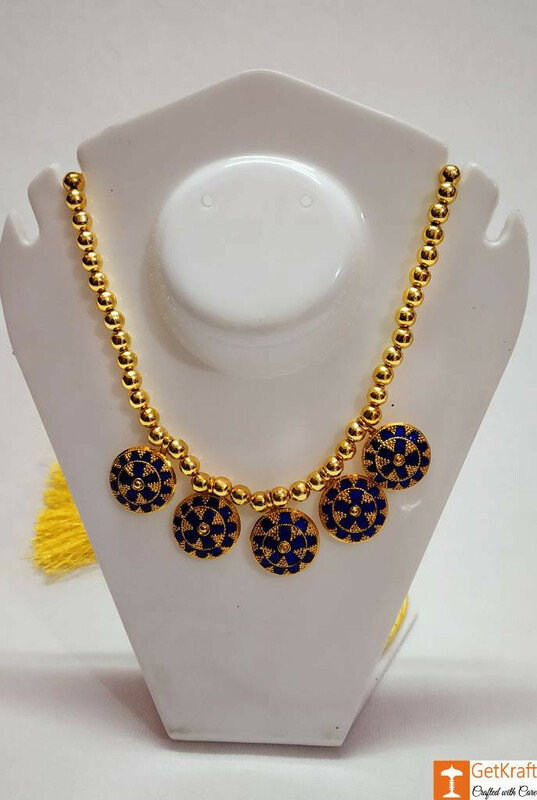 This Necklace is also available with the Earrings. Price of the whole Set is Rs.5700.